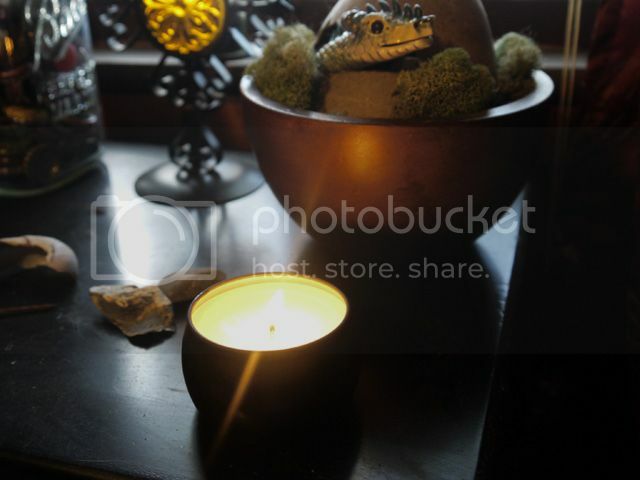 I have a lot of candles and wax melter. I have this problem where I just love them and then I buy them and then I never burn them. So I'm going to make a point of actually using some of the candles I have stockpiled over the years. And I'm going to cycle them out monthly so I don't get sick of them and so I have an excuse to buy some new ones after a while. Because let's face it - you can never have too many candles. 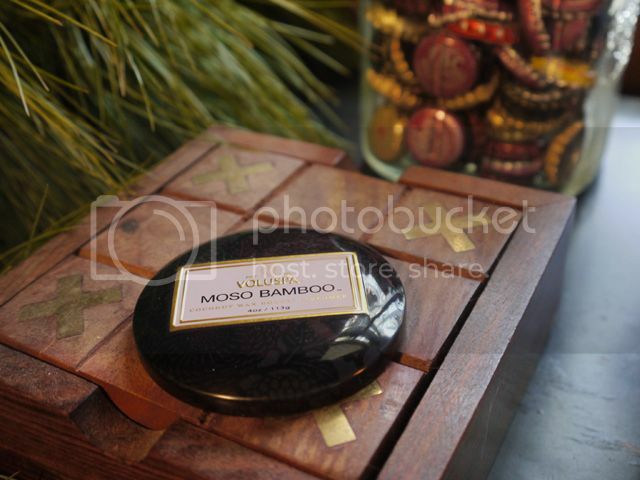 January's candle is Moso Bamboo by Voluspa. It has sort of a Chrsistmas kind of smell to me, but not so much so that I don't want to burn it now that Christmas is over. It smells, as I believe I said when I bought it, like childhood and happiness. What more could you ask for from a candle? I also really like the tin. I'm a sucker for pretty packaging.